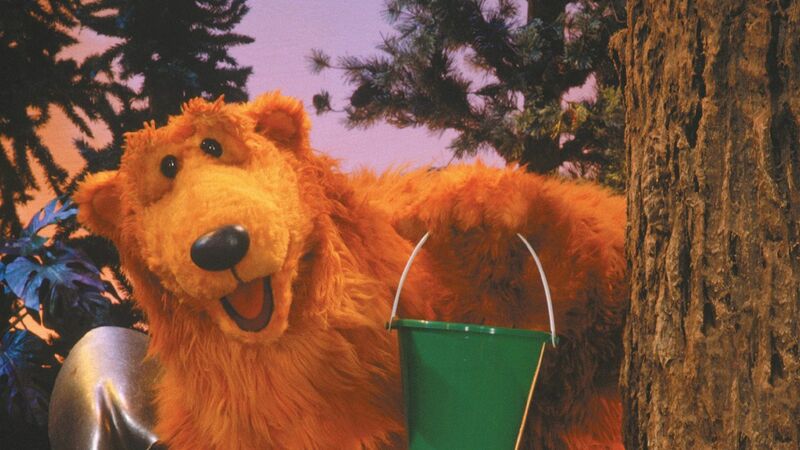 Here's where to watch every episode of Bear in the Big Blue House season 3. Mouseover or tap an episode to see where to stream it. Click or tap the play icon to stream it on the best available service. Friends At Play Sep 9, 1999 Ojo is excited about a visit from her friend, Christine. The two quickly get involved in one of Ojo's imaginative games --- a pillow castle. Tutter arrives and asks if they'd like to play checkers, but Ojo tells him she's in the middle of her game with her "best friend," Christine. Tutter is hurt by the use of the term "best friend." He creates his own friend to play with, "Mr. Cheese," but Bear helps to mend his friendship with Ojo. He also finds Pip and Pop at odds with Treelo out at the Otter Pond. He keeps pretending to be a monster during their Deep-Sea Divers game and they don't like it at all. Bear, however, introduces them to a game called The Treasure of Kalamazoo Bay. In the Shadow segment, Shadow retells the story of "Mary Had a Little Lamb." The lamb in this version drives a car, skies and scuba dives in its efforts to follow Mary everywhere she goes.SongsWhere Would You Be Without Your FriendsNotesThis is at least the second time that Bear has suggested a game to the kids that he once played when he was a cub. In "Share, Bear," Bear tells Ojo and Treelo about a game called "Snow Bear in the Woods" when Ojo doesn't want to share Snow Bear with Treelo. Nothing To Fear Sep 23, 1999 When Bear receives a package from "L.L. Bear" in the mail, he's surprised to find that he received a skunk clock rather than the bear clock he order. Rather than returning it, he decides to give it a try and hangs it up in the kitchen. He hears Ojo and Treelo outside and finds Treelo swinging on a swing. He gets off and asks Ojo to try, but finds that she doesn't want to. She admits to being somewhat scared, but finds a compromise in starting out by first taking small swings. As Bear heads off into the living room for a nap, Tutter is disturbed by the "tick-tock" of the skunk clock, mistaking it for a real skunk. He's scared by it, but eventually comes to realize that it's actually alive and is nothing to be afraid of. Out at the Otter Pond, Pip and Pop play a game called "Double D Dare." When their daring starts to get dangerous, Bear suggests that they think of things to do that are silly, but not potentially dangerous. Sometimes, if you're scared to do something, there may be a very good reason for it.SongsWhat's in the Mail Today? (Shortened Version)Everybody's Afraid of Something (lyrics)NotesThere is no Shadow segment in this episode.In this episode, Bear sings that "everyone's afraid of bats" and that "anyone who says they're not is tellin' you a little white lie." Bear would later change his tune in "Bats are People Too" when he befriends a bat and tells the kids that they're nothing to be afraid of.In an unusual move, this episode reuses the exact same theme, "Afraid," from the second season episode "Afraid Not. "AllusionsBear receives his skunk clock from a catalog called "L.L. Bear." This is a spoof on the popular L.L. Bean catalog, a mail-order catalog generally known for outdoor equipment and clothing. Lost And Found Oct 7, 1999 Ojo loses his favorite teddy bear and the members conducted a search party to help search for it, but in vain.In the end, they played hide-and-seek and Ojo found his bear back.Pip and Pop are out playing ball when they find a little duck who seems to be looking for something. He introduces himself as Harry and says that apparently his family got lost while they were flying south. Bear takes the opportunity to remind the viewers about what they should do if they were ever lost and promises to help reunite Harry with his family. Meanwhile, the kids of the Big Blue House get acquainted with Harry the Duck. In the Shadow segment, Shadow tells a story about a dame who's lost her shoe and a master who's lost his fiddle-stick.SongsYou Will Find Your WayNotesThis episode introduces the character of Harry the Duck. He and his family live at the Duck Pond, which is actually what Pip and Pop know as the Otter Pond. They fly south every winter. Bear invites Harry to come back to visit the Big Blue House when he returns in the spring.In this episode, Harry says that he's been separated from his Mom, brothers and sisters. No reference is made to his brothers and sisters in future episodes and none are present when Hallie is born in "When Harry Met Hallie. "The dog in the Shadow Projects logo in the closing credits quacks like Harry. Halloween Bear Oct 21, 1999 It's Halloween at the Big Blue House. The house is all decorated and everyone is getting ready. Bear helps his friends to find costumes and helps Tutter with carving a pumpkin. He always helps out Treelo when he's scared by Ojo's bat costume. Later, everyone gets together for some fun trick-or-treating. The kids have all picked out their Halloween costumes, but Bear hasn't been able to find anything to dress up as. The kids go through Bear's box of costumes and come up with an amusing idea. In the Shadow segment, Shadow performs the song "What Do Shadows Do for Halloween? "SongsWhat Are You Gonna Be for Halloween?What Do Shadows Do for Halloween?Trick or TreatNotesThroughout the special, a couple of pumpkins slide across the screen as a scene changer and sing the first couple of lines of the "Trick or Treat" song --- "We're going trick-or-treating / We'll shout a scary greeting. "In this episode, Treelo is scared of Ojo when he believes her to be an "icky" bat. Later on in the season, though, Treelo introduces all the kids to his bat friend, Benny, in "Bats are People Too" and they learn that bats are nothing to be afraid of. Apparently, Treelo met Benny in-between the events of this episode and that episode, or else he should not be afraid of someone dressed as a bat. It's All About You Oct 26, 1999 Tutter receives a postcard in the mail from his Uncle Jet Setter Tutter. He's a famous explorer, but he hasn't seen Tutter since he was just a baby mouse. He wants Tutter to write back and tell him all about himself. Tutter's worried that he'll have nothing to say, but Bear helps him to see that there's a lot that's unique about him. He also talks with Pip and Pop, who have noticed that they're not quite as alike as they thought. Bear tells them that even though they're different, they can still be great friends. He also helps Treelo to come up with a game that suits his own unique personality when he gets bored with playing Ojo's tea-party game. In the Shadow segment, Shadow retells the story of the ugly duckling. She talks about another ugly duckling who didn't grow up with dashing good looks, but found that beauty is in the eye of the beholder.SongsWhat's in the Mail Today? (shortened version)Baby, You're YouWhat Kind of Mouse Am I? I've Got Your Number Oct 28, 1999 Pip and Pop s cousin Tally plans to visit. What's Mine Is Yours Oct 29, 1999 A package comes in the mail for Ojo --- a book from Ursa titled Bears Around the World. Ojo wants to keep it all for herself at first and read it alone, despite Tutter and Treelo's pleas for her to share it. Bear explains to them that sometimes when somebody has something new, they might want to keep it to themselves at first. But as Ojo becomes excited by the book, she begins to change her thinking. Meanwhile, Bear finds himself sharing quite a bit. He shares his food, he shares his berry-picking bucket with Pip and Pop and he lets Ojo, Tutter and Treelo use his bed as a comfy reading spot.SongsWhat's in the Mail Today?What's Mine is YoursNotesThis episode is somewhat similar to the first season's "Share, Bear." It involves a picnic, just like in "Share, Bear. "Bear reads the names of two potential alternate Bear in the Big Blue House shows from Ojo's book --- Bear in the Big Bamboo House and Canadian Bear in the Big Log Cabin (from Canada, near Saskatchewan). Bear's Secret Cave Nov 1, 1999 Pip and Pop, along with Treelo, have decided to go fossil-hunting. They've gathered up all their gear in a backpack and are ready to go. This gets Bear thinking about discoveries and how much he enjoys discovering things himself. He then hears Ojo and Tutter calling him. They've been searching around the attic and came across an old, dusty box. It turns out to be a treasure chest filled with some of Bear's old things. He remembers that the played with them all in a secret cave, but he can't recall just where exactly the cave is. Ojo and Tutter decide to get the help of the rest of the kids to rediscover the secret cave. Once there, they find out some things they never knew about Bear and realize that he's a lot like them.SongsI Love to DiscoverA Lot Like YouNotesThe kids discover drawings on the wall of Bear's secret cave. These drawings are of two of Bear's friends when he was a kid: Don Deer and Roger Badger. I've For-Got Rhythm Nov 3, 1999 One morning, Bear finds that he can no longer do The Bear Cha-Cha-Cha. It seems that he has simply lost his rhythm. It's so bad that he can't even say "cha-cha-cha." He loaned his records to Doc Hogg, but when he can't get them back, he has to find some other way to regain his rhythm. Pip and Pop attempt to help by providing their services as the "rhythm-masters." Later, Bear finds Treelo dancing to a calypso beat and joins in. In the Shadow segment, Shadow sings a song called "Tingalayo." About a donkey, it featueres a Latin beat. She also gives Bear a tip to help find his rhythm.SongsRhythm in the AirLet the Rhythm Take YouYou've Got the RhythmThe Bear Cha-Cha-Cha (Shortened Version)NotesPortions of the events of this episode were adapted for the book Time to Cha-Cha-Cha!. Wait For Me Nov 4, 1999 Patience is discussed here, while Ojo and Pip and Pop wait for a package to arrive. Tutter can't wait for his cheesy fruit pops to be finished, so Bear helps him out with an alarm clock that will let Tutter know when the pops are finished. Morning Glory Nov 5, 1999 Bear, Tutter, Treelo, Ojo, Pip and Pop have just had a sleepover and now Bear is waking up in the morning. It's still early, but the sun's about to rise and then everyone will be getting up. Some rise faster than others --- for example, Ojo finds all the morning noise upsetting at first, but given just a bit longer to sleep, she's good to go. Bear gets everybody going with a good breakfast. Treelo wants to run and play, but Bear helps him to appreciate that breakfast will give him the fuel to do that. Then, fueled and ready to go, they head for the events of the day. While Tutter, Treelo and Ojo go out flower-sniffing, Pip and Pop decide to go riding in their inner-tubes. When Pop can't find his, they all help to tidy up the house in an effort to find it. Bear then settles down to read a book, but not before the Shadow segment. Shadow sings a song about the morning, featuring a newspaper-fetching dog and sweetly-mooing cows.SongsGood MorningBrush Brush BreeClean Up the HouseNotesRay, the sun, appears in this episode, but Geoffrey Holder is uncredited.The dog in the Shadow Projects logo in the closing credits meows twice. That Healing Feeling Nov 6, 1999 When Bear hears a commotion in the living room, he finds Ojo and Tutter in something of a panic. They were playing and Tutter hurt his tail. It's all bent up and in a lot of pain. Bear does his best to help him feel better and then puts in a call to Doc Hogg. Doc Hogg asks Bear to bring Tutter over to his office, but Tutter is somewhat scared. Ojo's been there before, though, and offers to come with him. He also brings along his stuffed toy, Kitty. When he gets there, he's still somewhat scared, but eventually finds that there's really nothing to be afraid of. The Shadow segment, Five Little Monkeys, is recycled from "Picture of Health. "SongsHello DoctorJust Say Ow (Shortened Version)NotesPip and Pop are absent from this episode.In the waiting room, a red bird is reading the book, The Adventures of Clamiana Jones, that Pip and Pop read from "What's the Story?" The Tutter Family Reunion Nov 7, 1999 The annual Tutter Family Reunion is held at the Big Blue House. Everyone works hard to get ready for this big occasion featuring Tutter's huge family.NotesTutter's relatives include Grandma Flutter, Uncle Tito del Tutter, Tardy, Grandpa Highland McTutter, Whiner, Shouter, Jim and June.This episode was adapted in book form as The Tutter Family Reunion. Bats Are People Too Nov 8, 1999 As the viewer arrives, Bear decides to try something a little different --- he wants the viewer to sniff him! It turns out that Bear's idea may have been prophetic because some very different things are happening around the area of the Big Blue House. Pip and Pop were out playing by the Otter Pond when they found something they've never seen before --- something with wings hanging upside-down from a tree. Bear explains to them that it's a bat. He tries to tell them all about it, but they disappear in a flash. Bear returns to the Big Blue House, where Ojo and Tutter both express the same sentiment. They're scared of the bat and don't want to have anything to do with it. Things only get worse when they all sit down and talk about it. Bear, however, meets the bat, whose name is Benny, and asks everyone else to meet it too. They reluctantly agree and find that not only is he not like what they expected --- Treelo is already his friend!SongsWe're All DifferentBat DanceNotesThere is no Shadow segment in this episode.The dog in the Shadow Projects logo in the closing credits shouts "Later!" in Tutter's voice. Words, Words, Words Nov 9, 1999 Bear wakes up early on a sunny day and finds himself thinking about words. He enjoys reading the words in the Woodland Valley Gazette, as it helps him to keep up-to-date on what's happening in Woodland Valley. While reading the paper, he hears a commotion in the kitchen and finds Harry and Tutter playing there. Tutter wanted to play knights and shining armor, but something about what he's saying is causing Harry to quack up a storm. He told Harry that he could be "Big Beaky the Dragon" and now every time he says "big beak," Harry goes "all quacky." Bear has the two talk things out and Tutter finds that Harry is sensitive about the size of his beak. He apologizes, saying that he likes his beak. Next, Bear helps Pip and Pop when they can't find the "whatchamacallit" that stops the water from draining out of the bathtub --- the plug. Pip and Pop find that they'e good with words, and rhyming. Later on, Ojo and the others hold a tea party in the attic. Harry's shy and afraid to join in, but Bear tells him that if he uses his words, the others will let him join in. In the Shadow segment, Shadow tells the tale of Peter Piper, who picked a peck of pickled peppers.SongsGood Morning (Shortened Version)Find the WordsNotesHeadlines in the edition Bear reads of the Woodland Valley Gazette include "Mating Season Begins - Sparrows All A-Twitter", "Bears Blissful as Berry Bushes Bloom", "Snail Marathon Planned - Race to Last All Summer" and "Snake Wrestling Ends in a Tie".AllusionsIn this episode, Bear quotes William Shakespeare and comments "I hear he was pretty good with words." The lines quoted by Bear are from Shakespeare's Sonnet 18.Bear reads in the Woodland Valley Gazette that there's a new movie opening down at the multiplex --- Citizen Crane. It's described as "the story of a young bird's rise to fame and power." This is a reference to Citizen Kane. This popular film from the 1940s was directed by the prolific Orson Welles and is #21 on IMDb's top 250 films. Let's Get Interactive Nov 10, 1999 Doc Hogg is remodeling his office, so he asks Bear to hold some of his stuff at the Big Blue House for a while, including his computer. He also gives Bear permission to use it, so he shows Tutter and Ojo how it works. They learn that computers are interactive and that interactivity isn't something that can just be done with computers --- just doing something as simple as talking with someone is interacting. At first, they're reluctant to use the computer, but are soon having fun with it. As it turns out --- Pip and Pop already know about interactivity --- Pip shows Bear how much fun it is for him to interact with Pop, as opposed to something like a rock. Bear takes a crack at solving the daily puzzle, with the help of Treelo. In the Shadow segment, Shadow introduces the viewers to Gus, an "interactive shadow-dog" who's looking for his friend Gloria.SongsGood Morning (Shortened Version)The Bear Cha-Cha-Cha (Shortened Version)NotesAt one point, Bear is looking for dirt, water and seeds to help solve a puzzle. He says "You know, these things would be a lot easier to find if we had a couple of guides to help us" and then Pip and Pop show up. Oddly, when he says this, closed-captioning reads "You know, these things would be a lot easier to find if we had a little blue dog to help us." This may have been intended as a reference to Blue's Clues a series featuring a blue dog named Blue who left three paw-printed shaped clues to solve puzzles not all that unsimilar to the one Bear was attempting to solve. Bear's peformer Noel MacNeal, as well as Peter Linz, are both puppeteers on the Blue's Clues spin-off program Blue's Room.Computers are a somewhat rare example of high technology in Woodland Valley. There is also a movie theater, although there are no known TVs.Back in the "When I'm Older" song in "Mouse Party," Tutter expresses an ambition to someday use a computer. However in this episode, like Ojo, he has no idea what a computer is until Bear tells him.Doc Hogg's computer appears to only have two programs. Although no mention of it is made in the episode, it's probably quite likely that Doc Hogg has additional information and programs on that computer related to his medical practice. If so, they are likely simply stored under another username or partition that Doc Hogg has temporarily disabled. The Yard Sale Nov 11, 1999 Doc Hogg stops by the Big Blue House to collect for charity. He's collecting for muskrat relief following recent flooding that left many of them homeless. Bear is completely out of money, so Doc Hogg agrees to come back later. Bear and Ojo then find Tutter struggling to cram an excess of stuff into his mousehole, giving Ojo the idea for a yard sale. The idea takes off and Pip and Pop are assigned to be sales-otters. Treelo finds some things of his own to sell and Ojo helps out by painting pictures. Tutter, however, finds it difficult at first to part with some of his things.SongsA Million NickelsNotesMany of the shows most prevalent recurring guest-characters are present for the yard sale, including Otto and Etta Otter, Grandma Flutter, Jeremiah Tortoise, Lois, Harry, and Mama Duck.The characters exchange dollars and cents for their purchases in this episode. However, in the fourth-season episode "A Trip to the General Store," clams are used as Woodland Valley's official currency.Joey Mazzarino is credited as Joseph Mazzarino.AllusionsOtto and Etta Otter pose in the style of the famous American Gothic for Ojo's painting.Doc Hogg states in this episode that he is the great imperial boar of the Woodland Valley chapter of the "Swiners." This is a reference the Shriners, an order of free masons known for their charitable works. The Imperial Potentate is the highest ranking Shriner in the world. The Best Thanksgiving Ever Nov 12, 1999 It's Thanksgiving at the Big Blue House, and Bear is preparing his annual feast. There are all sorts of delicious food, and Grandma Flutter and Doc Hogg are coming over to join the celebration.Everyone is very thankful for Bear's great feast, but Ojo wonders if there isn't more she can do to help. She becomes a sort of Thanksgiving commander and takes charge of the decorations and the Thanksgiving pageant. Ojo wants everything to be perfect, but soon finds things going outside her control. When it seems like all is ruined, Bear provides some reassuring thoughts on what the holiday is really all about.In the Shadow segment, Shadow tells the story of the very first Thanksgiving.Songs"So Much to Be Thankful For" (Bear solo and Full Cast versions)"Thanksgiving with My Friends"
Read My Book Nov 13, 1999 Bear is holding his weekly book club. He's excited that the mail has come because he ordered a new book and sure enough, there's a package waiting for him. However, when he opens the package, he finds that the book is called 1001 Ways to Cook Slop. This definitely isn't the book he ordered. A quick phone call to Jeremiah Tortoise reveals the mixup --- Bear must have received Doc Hogg's cookbook by mistake, while Doc Hogg got the book intended for Bear. He says that he'll get the problem taken care of as fast as he can. This leaves Bear with a bit of a dilemma, as he still needs a book to read for his club, but it could take a while for Jeremiah to bring the right book. Bear decides to search the Big Blue House for another book to read. As he goes about his search, he finds that everybody in the Big Blue House has ideas on books that he could read.NotesThe books that Bear finds in the kitchen are titled "The Brothers Bearmazov" and "Jane Bear. "Bear mentions that when he was little cub, he read a book called "Buck Antler: Deer in Space." This is a reference to Buck Rogers.Earl has an appearance in the book "Mouse the Great". Go To Sleep Nov 14, 1999 Ojo is sleeping over at the Big Blue House. Bear helps get ready to go to bed, tucks her in and aids her in "surfing off to dreamland." Ojo falls fast asleep. Bear thinks of getting some sleep himself when he hears a knocking at the back-door. It turns out that Jeremiah Tortoise and Doc Hogg have arrived for an exciting card game of Go Fish. Jeremiah brought the cards --- special cards that actually contain pictures of fish --- but Bear hasn't even put out any snacks. He has totally forgotten that their game was scheduled for tonight, and now all the noise threatens to wake up both Tutter and Ojo. Sure enough, Tutter shows up, saying that he needs a drink of water. Bear tries to attend to Tutter's needs, while keeping his attention on the card game as well.SongsNext Stop DreamlandShadow's LullabyNotesBear, Doc Hogg and Jeremiah Tortoise play Go Fish using cards featuring actual pictures of fish. Although the faces of the cards are never seen, the following fish are requested throughout the game --- trout, shark, salmon, seahorses and mud guppies. Additionally, Tutter suggests that Bear "go for the mackerel. "Bear hums the song "Wipeout" after suggesting to Ojo that she surf off to Dreamland. "Shadow's Lullaby" is track 7 on the album More Songs from Jim Henson's Bear in the Big Blue House. "Next Stop Dreamland" is track 26 on the same album. Additionally, a short instrumental reprise of "Go to Bed, Sleepy Head" from Songs from Jim Henson's Bear in the Big Blue House can be heard towards the beginning of the episode. A Berry Bear Christmas (1) Dec 7, 1999 The winter holidays find Bear and his friends planning a big celebration. They're all getting ready for Christmas, but also learn about Hanukkah and Kwanzaa. Bear also celebrates his favorite tradition, the finding of the winter berry.As things start out, Pip and Pop have put together a reindeer wreath. Everyone wants to help out with the wreath, so Bear suggests they all add something of their own. Later, the group meets Santa Hogg and presents him with a large list of holiday wishes. Then there's a bit of an argument when Treelo wants to open everyone's presents and not just his own.In the Shadow segment, Shadow thanks Bear for his gift of a scarf --- Shadows don't get cold, but it's the thought that counts. She then sings the song "It's Kwanzaa Time. "After hearing a howling noise, the group takes in an old hound named Jack with no home and invites him to stay at the Big Blue House for the holidays. This gets everyone thinking about the true meaning of the holidays.The story continues in part two.SongsBerry Bear ChristmasA Holiday for EveryoneThat's All I Want for ChristmasIt's Kwanzaa TimeWhat If (There Was No Big Blue House)Just ListenNotesShadow twists the format of the Shadow segment in this episode. Instead of Bear searching for her, she searches for him and sings "Where Oh Where is Bear? "The dog in the Shadow Projects logo in the closing credits says "Happy holidays!" in Treelo's voice, but only on the TV version.Both parts of this special were adapted as the book Bear's Berry Christmas.Dave Goelz performed Jack in this double length episode with a voice that resembles Uncle Traveling Matt and Waldorf.CutsWhen the special aired on Playhouse Disney over two days, the first Shadow segment was cut, as well as Bear hanging the reindeer wreath on the door and then hearing the kids arguing.On the VHS version of the special, there are no closing credits shown --- instead, Luna is shown setting and Ray rising; the show continues immediately to the next part. A Berry Bear Christmas Dec 7, 1999 Continuing from part one of the Berry Bear Christmas special, the entire gang (now with Jack) goes out caroling.As the kids settle down to try to figure out what to do about a Christmas present for Bear, Bear turns his attention to the finding of the winter berry. Jack overhears the kids' conversation and suggests making something.In the Shadow segment, Shadow sings a song about a Hanukah dreidel. She then wants to give Bear a present, but says there isn't much a shadow can give a bear. So she has him kneel down and she gives him a kiss.Everyone enjoys their presents, but they worry that they've left out Jack. Jack helps them to see that they've already given him a gift -- a peaceful, happy holiday in a warm house with good friends. Later, the search for the winter berry proves fruitful for all.Songs Berry Bear Christmas Woodland Valley Carols (medley) Best Present Ever Searching for the Winter Berry Winter Berry / Holiday RepriseCuts When the special aired on Playhouse Disney over two days, the following scenes are cut: Jack tries to sneak away after the "Best Present Ever" song, but Bear convinces him to stay for the search for the winter berry. Additionally, the "Holiday" portion of the "Winter Berry / Holiday" reprise song is cut. On the VHS version of this part of the special, the opening song "A Berry Bear Christmas" is not repeated. Additionally, a segment following the caroling in which Bear says the viewer smells like sugarplums and then discusses holiday traditions is removed. Bear discusses Tutter's special holiday tradition -- leaving a pair of shoes out to be filled with cheese.Allusions Doc Hogg refers to Fiddler on the Woof in this episode, a riff on Fiddler on the Roof. A Berry Bear Christmas (2) Continuing from part one of the Berry Bear Christmas special, the entire gang (now with Jack) goes out caroling.As the kids settle down to try to figure out what to do about a Christmas present for Bear, Bear turns his attention to the finding of the winter berry. Jack overhears the kids' conversation and suggests making something.In the Shadow segment, Shadow sings a song about a Hanukah dreidel. She then wants to give Bear a present, but says there isn't much a shadow can give a bear. So she has him kneel down and she gives him a kiss.Everyone enjoys their presents, but they worry that they've left out Jack. Jack helps them to see that they've already given him a gift -- a peaceful, happy holiday in a warm house with good friends. Later, the search for the winter berry proves fruitful for all.SongsBerry Bear ChristmasWoodland Valley Carols (medley)Best Present EverSearching for the Winter BerryWinter Berry / Holiday RepriseCutsWhen the special aired on Playhouse Disney over two days, the following scenes are cut: Jack tries to sneak away after the "Best Present Ever" song, but Bear convinces him to stay for the search for the winter berry. Additionally, the "Holiday" portion of the "Winter Berry / Holiday" reprise song is cut.On the VHS version of this part of the special, the opening song "A Berry Bear Christmas" is not repeated. Additionally, a segment following the caroling in which Bear says the viewer smells like sugarplums and then discusses holiday traditions is removed. Bear discusses Tutter's special holiday tradition -- leaving a pair of shoes out to be filled with cheese.AllusionsDoc Hogg refers to Fiddler on the Woof in this episode, a riff on Fiddler on the Roof.